Herbert B. Smith, emeritus professor of history, died Sept. 28, 2011, at his home in Mount San Antonio Gardens, Claremont, where he had lived since 1985. He was 93. After obtaining his B.A. from the University of Iowa in 1940, he taught social studies for a year before he enlisted in the U.S. Army and was sent to Officer Candidate School. After graduation, he became the post chemical officer at Camp Butner, N.C., where, among other duties, he conducted countless drills against chemical attack for the units stationed there. He later was assigned to the information and education headquarters in Paris, helping to establish a post-hostilities education program for soldiers awaiting their return home. After earning his M.A. degree in history at the University of Iowa and a Ph.D. in history at UC Berkeley, Professor Smith came to Pomona College in 1952. He was hired to teach French history, which he did for many years, regularly offering such courses as Absolutism and the Enlightenment in Europe, The French Revolution and the European Response and the History of Russia, in addition to Western Civilization. 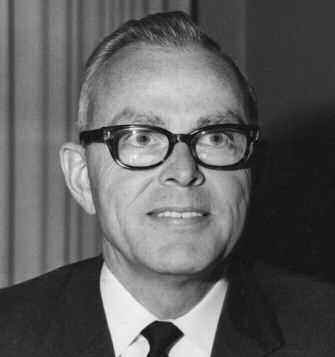 Smith also served as associate director of admissions and director of financial aid during the 1960s, and it was on his watch that Pomona established a policy of “need-blind” admissions. After a one-year, Fulbright-funded sabbatical at Chulalongkorn University in Bangkok, he returned to full-time teaching at Pomona in 1969. Besides offering a new course on Southeast Asia, Smith was one of the creators of the two-semester introductory Asian history sequence—Asian Traditions and Revolution and Social Change in Modern Asia—that is still taught today. He loved to travel, and he and his wife Dorothy traveled in the way that adventurous people did in the 1950s and early 1960s—by freighter and local trains and buses—to countries in Central Asia, the Middle East and Africa that did not see many American tourists in those days. Smith retired in 1983 as the John Sutter Miner Professor of History after 31 years of teaching at Pomona. At the time, the College reported that he confessed to having had three serious loves in his life: his late wife, Dorothy, formerly a psychologist at Monsour Counseling Center; Clio, the muse of history; and the goddess Pomona. Shortly before he died, his fellow residents at Mount San Antonio Gardens made him the poet laureate of the Gardens.